I finally finished the embroidery on the U2 vest last night. 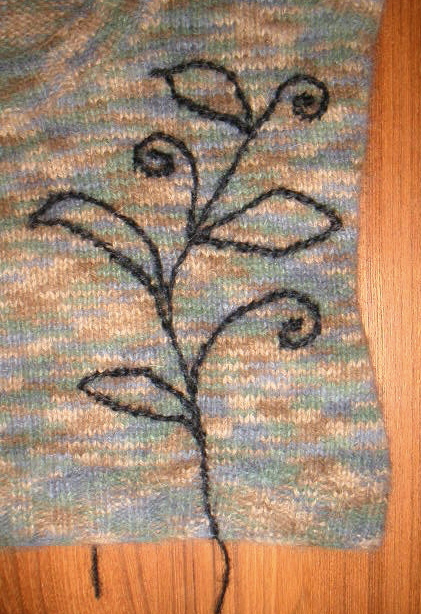 I still need to weave in those ends, but I figured I could still post some photos. 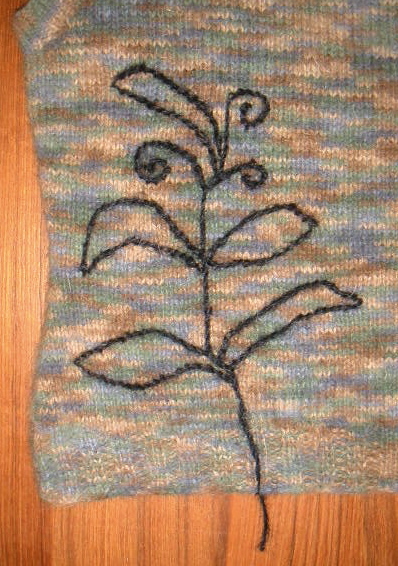 I used stem stitch to create the leaves in my embroidery pattern. 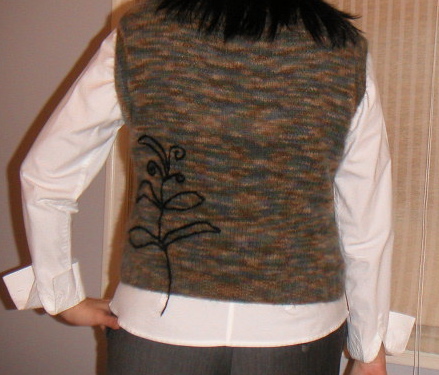 I had sketched out both patterns for the front and back, but ended up doing the stitching freehand and just used the drawings as a rough guide. 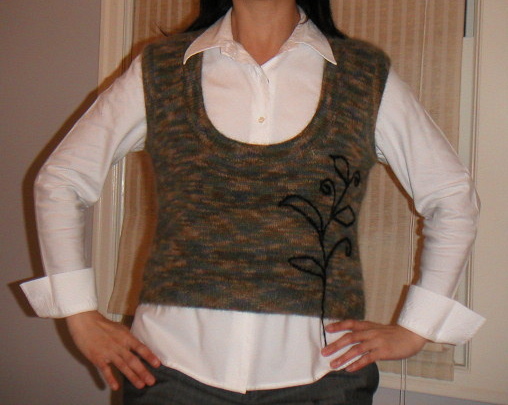 Those ends dangling at the bottom of the vest where the embroidery starts were inspired by this Louisa Harding pattern. 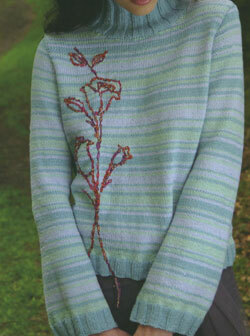 You can see closer detail of the embroidery here and here.